We have completely skipped spring and have jumped straight to summer here in Chicago, but I am not complaining! 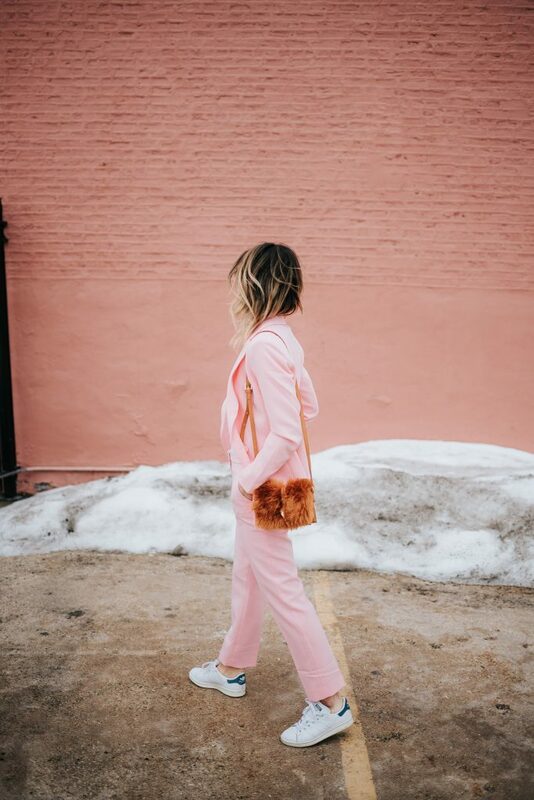 Over the weekend I spent some time cleaning out my closet and dusted off my spring / summer fashion and got them all steamed and ready for the season! 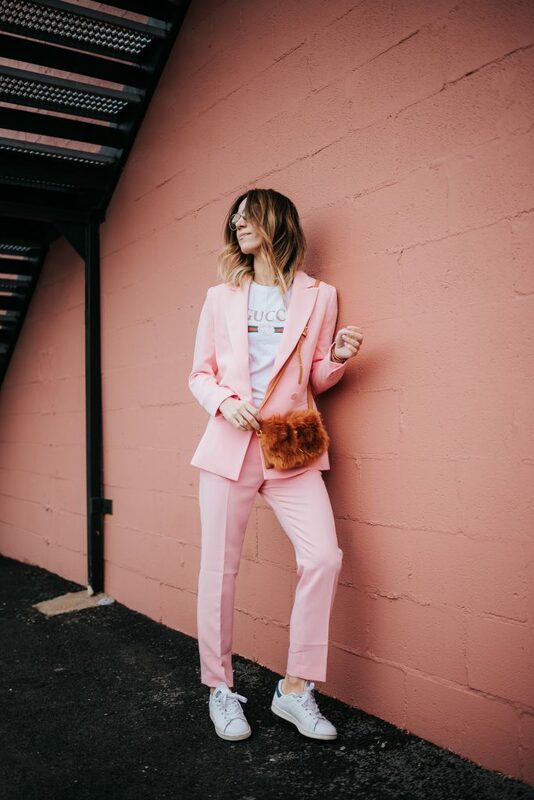 Today I’m sharing this Pink Blazer and Matching Pants to serve as some spring work wear inspiration – it’s a great way to start bringing color back in to your wardrobe. 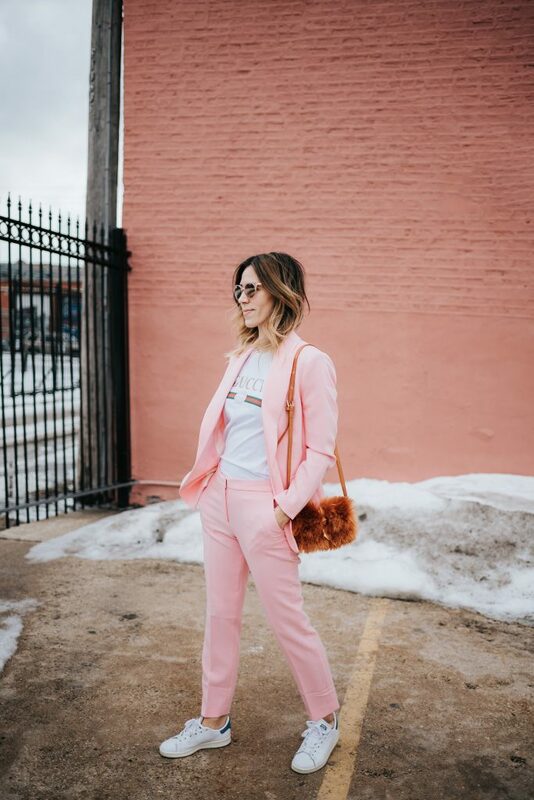 Pink Blazer + Pink Suit Pants // This is a great way to add some color in to your spring work wear and a fun twist on corporate wear. I don’t like wearing it as much as the next person so why not have fun with it! 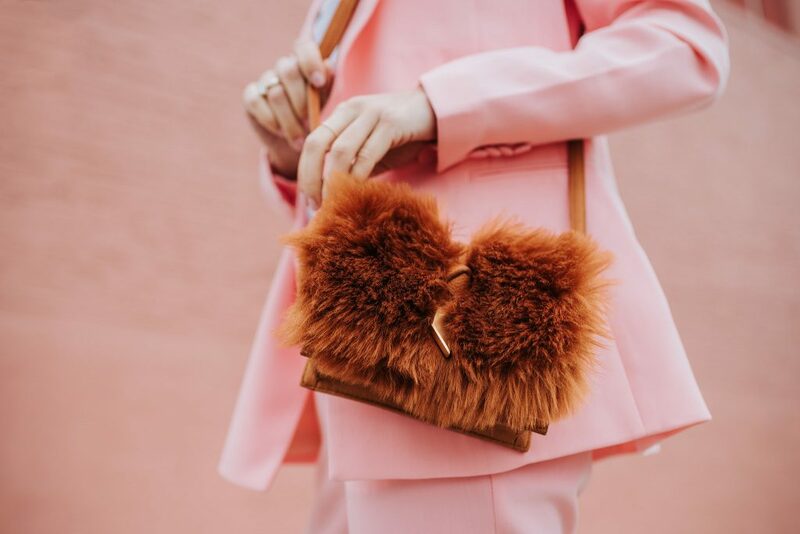 Faux Fur Bag // Love this bag – see how I styled it here too. 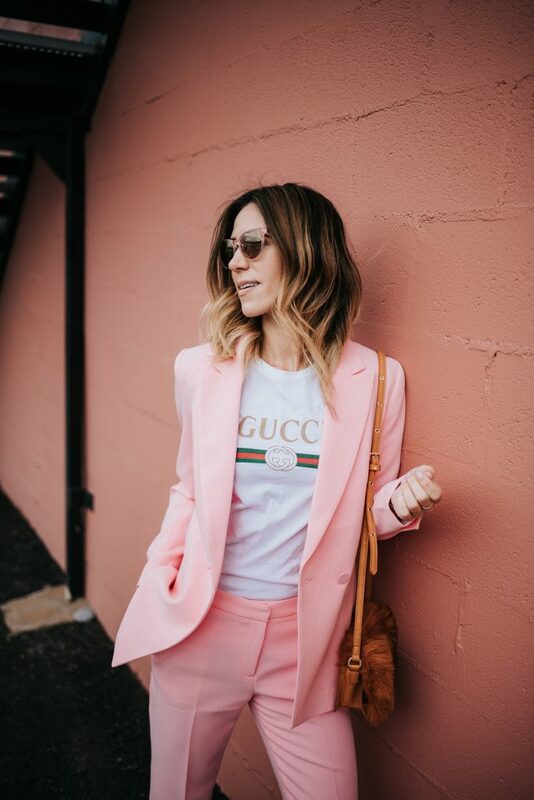 Gucci T-shirt // An easy shirt to dress up under a suit or dress down with some denim! Stan Smith Adidas // These are my go-to shoes on my commutes to work – they pair with everything! I LOVE that you wore this suit with a pair of sneakers!